BUILT FOR HIGH PERFORMING ATHLETES – If you do any kind of sport that requires heavy use of your legs like weight lifting, CrossFit, running, skiing, basketball, baseball, etc. then you know how hard it can be on your knees. 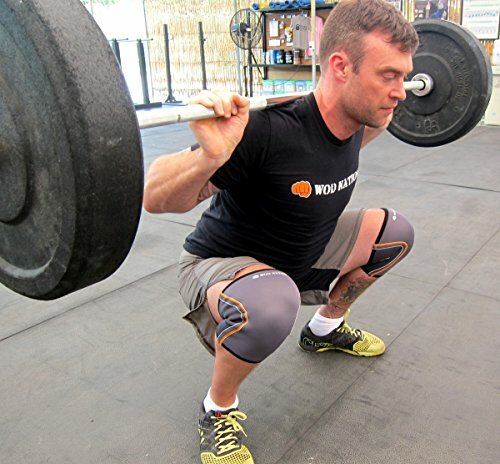 WOD Nation knee sleeves were made with the high-performance athlete in mind. 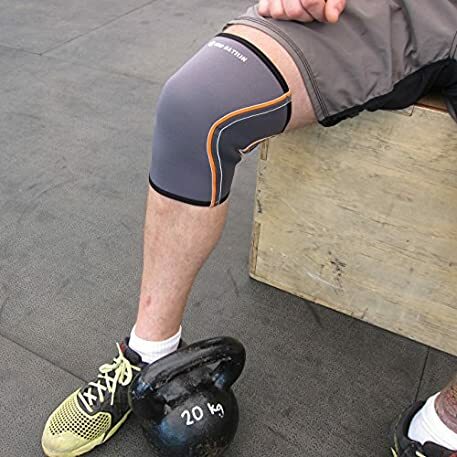 SUPPORT WITHOUT STIFFNESS – We made this knee support sleeve with the best 5mm neoprene available. This means that you get top-of-the-line support as well as ease of movement. Other knee sleeves are either too flimsy to offer any measurable support OR they are so thick that you can barely bend your knees at all. BUILT TO LAST – There’s no use in making products for high performing athletes if they don’t hold up to regular abuse. 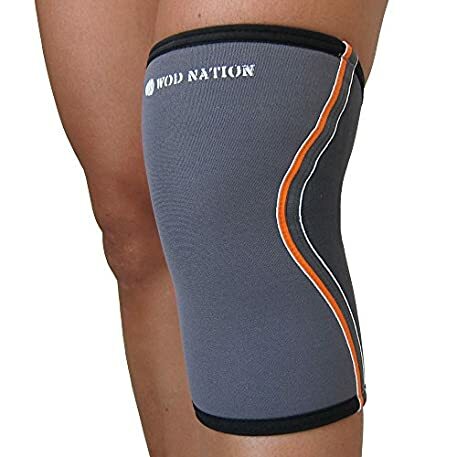 These were designed for athletes by athletes and that means that these can be used daily and they won’t stretch out or come apart at the seams. Dish out your hardest workout and they will be ready for more. DON’T SETTLE FOR SOMETHING CHEAPER – If you work hard at staying fit and active then don’t skimp on quality when it comes to you equipment. 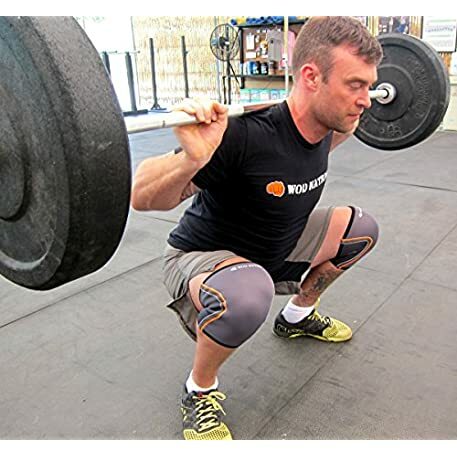 WOD NATION STANDS BEHIND OUR PRODUCTS – We offer a LIFETIME “no questions asked” return policy. Use them as much as you want and if you don’t like them for whatever reason we’ll give you a full refund or replacement. 100% SATISFACTION GUARANTEED – Full no-questions-asked return policy. If you don’t like it just let us know and we’ll give you a full refund. 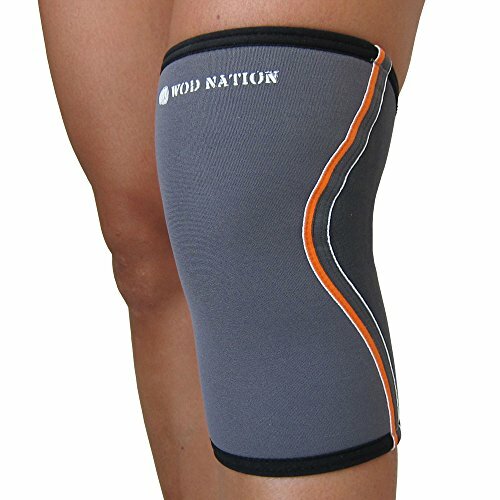 INCREASE BLOOD FLOW & REDUCE PAIN – WOD Nation knee sleeves add a valuable knee compression element that increases blood flow and reduces knee pain, not only during but also after performance. 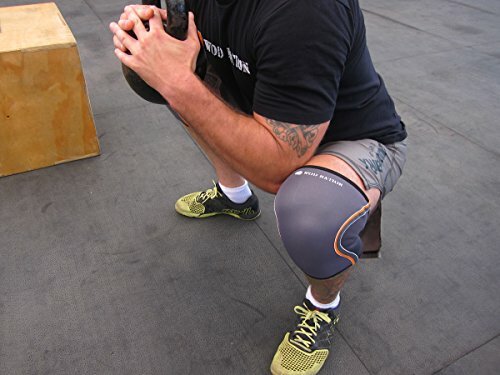 STAY IN PLACE WHILE EXERCISING – These knee sleeves stay tight and snug during your whole workout. KEEP FIT WITHOUT DAMAGING YOUR KNEES – No matter what sport you love any of them can be hard on your knees. Protect yourself while rounding the bases, going for the layup or getting deep in your squat. 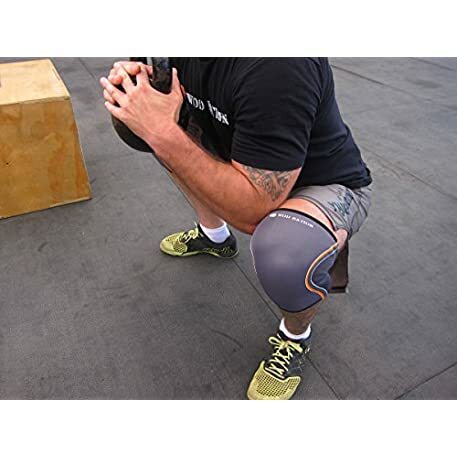 These knee sleeves will help you stay injury free.